Coconuts: What’s a consumer to do? 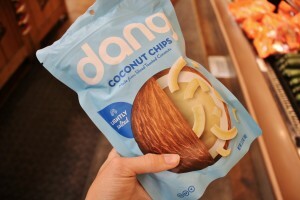 Coconut products have become the latest superfood solution you could add to just about everything. Coconut milk is called a healthy alternative to cow’s milk and is now available at many coffee shops, Starbucks being a leader in this option. People are swapping out butter in recipes for coconut oil. They sprinkle coconut on top of yogurt, acai bowls, chia pudding, pancakes, oatmeal – you name it. But, is it actually good for you? A quick Google search yields plenty of articles touting the coconut’s miracle-like qualities. 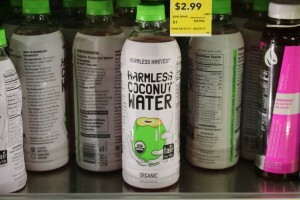 Change the wording in your Google search and articles appear warning you to stay away from coconut products. What’s a consumer to do?? To start, different parts of coconuts and different byproducts of coconut trees, provide different health benefits, or health disasters. Coconut oil is the most contested. Claims have been made that this oil makes hair shiny, skin soft, and teeth clean and white, removes make up, and can even be used as an alternative to sunscreen. Along with topical uses, ingesting the oil is rumored to slow aging, protect against Alzheimer’s, promote weight loss, prevent heart disease, diabetes, arthritis and other chronic disease, improve digestion, strengthen the immune system; and even treat herpes infections and AIDS. 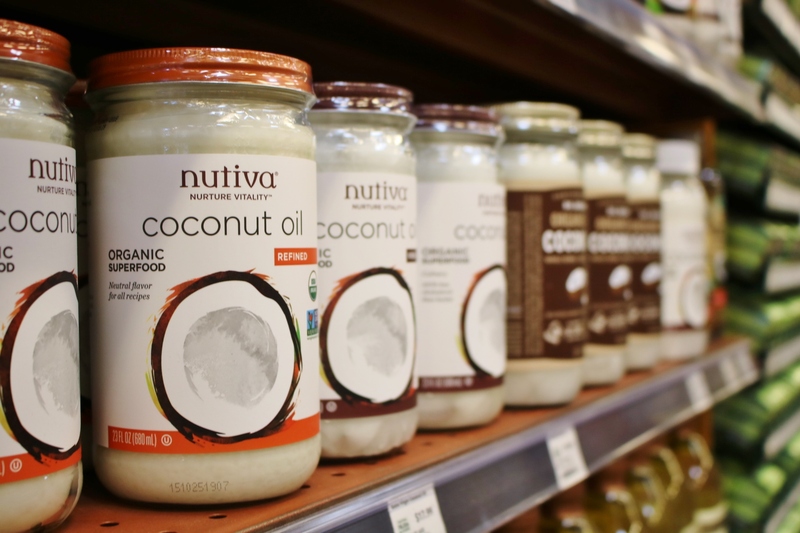 While those claims deserve their own research, from a purely nutritional aspect, should one use coconut oil rather than butter, olive oil, canola oil, or sunflower oil? Coconut oil is derived from the pressing of the coconut meat. As much as 84-90% of its calories come from saturated fat. Compare this with olive oil, which is 14% saturated fat, or butter at 64%. The American Heart Association recommends limiting saturated fat to 13 grams a day. At 90% saturated fat, that limit is reached with a mere tablespoon of coconut oil. The widely viewed and scientifically backed problem with saturated fats is that they raise one’s bad cholesterol (LDL), which forms plaque in arteries and causes blockage. The tricky thing about coconut oil, is that while it contains a high percentage of saturated fat, there is more than one variety of saturated fat. The kind found in coconut oil comes from medium chain triglycerides, or MCTs, rumored to be better handled in the body than the longer chained fats found in vegetable oil, dairy and fatty meats. This is from where the weight loss claim is derived. Your body processes these kinds of fats differently and is more likely to burn them as calories than convert them into fat. While not all calories are the same, coconut oil is still very high in calories and should be limited for weight loss goals (“The Truth About Coconut Oil,” 2016). Coconut oil has now become a fad. When the media reports that something is “good”, people jump on the bandwagon, without doing their own research. When the media says something is “bad”, people overreact and overcompensate. Coconut wasn’t always raved about, in fact, it was considered a menace. In the 80s the media demonized coconut oil for its role in heart disease, because of the high saturated fat content. However, while throwing out their coconut oils, people switched to an even deadlier alternative: hydrogenated oils…trans-fat. At the time, the research wasn’t solidified on the effect trans-fat has on the body. Today, we have gone full circle. The media has publicized the danger of trans-fat and people have switched back to tropical oils and other saturated fats (“Is Coconut Oil A ‘Miracle’ Food?”, 2014). Some have heard the stories of how good coconut flakes, butter, milk, flour, and oil are for you and have embraced these products with no idea of the percent of saturated fat within these products. For others, the knowledge is present, but they are among the consumers challenging decades of research done on the effects of saturated fats, theorizing that these fats are not bad after all and are, in fact, good for you. This new view on saturated fats is fueled by people like Nina Teicholz, author of The Big Fat Surprise. Nina is on the extreme end, stating in an ABC interview that she believes it is fine to eat red meat three times a day. She praises food items such as bacon, hamburgers, steak and meatballs. Another big name in the pro-saturated fat camp is Dave Asprey, the author of “The Bulletproof Diet” and inventor of Bulletproof Coffee: coffee with butter. While these authors and other recent studies start an interesting conversation, the American Heart Association warns one should not change their diet because of a couple of new studies. They state guidelines will not change until new evidence is concrete. For the traditionalists, what it comes down to is what is being chosen as replacements within a diet. If you are abstaining from saturated fats but are filling up on processed carbs and sugary foods, you are probably doing your body more harm than good, and definitely not losing weight. But, if you are choosing saturated fats instead of nuts and other unsaturated fats, which are proven to lower heart disease, then you are not helping your body either (“The Truth About Coconut Oil”, 2016). The HDL to LDL ratio should be considered and the more you eat coconut oil the less you are eating your other fat sources, which may have higher HDL and lower LDL levels. To be safe, most doctors recommend that one use coconut oil sparingly. Despite this new health craze, avoid getting too excited and using coconut oil for all of your cooking! Limit coconut oil consumption to a tablespoon or less a day. At the same time, don’t throw out all of your coconut products, as there are some health benefits: antioxidants, fiber, amino acids, vitamins, minerals, calcium, potassium and magnesium, to mention a few. Not every part of the coconut has equal health benefits. Similar to coconut oil, coconut milk is high in calories and fat. In countries where coconut is an important part of traditional dishes, the milk is not drunken or used for cereals, as in the U.S. However, what is on U.S. grocery shelves is generally a lower-calorie version. Coconut butter tends to be a better choice than coconut oil, when considering replacements of traditional ingredients. It has more fiber and antioxidants and less saturated fat than the oil. There is little evidence to say one should stay away from coconut’s delicious meat. Which is good news for those that didn’t switch to coconut products just for the benefits, but more so for the taste. One ounce of raw coconut is about 100 calories and contains 9 grams of fat, 3 grams of fiber and very little sugar. Similarly, coconut flour is made from ground, dry coconut meat. This substitute for wheat flour offers more fiber at the expense of only a few more calories per serving. It also adds that delicious coconut flavor to recipes. The healthiest part of the coconut, with positive health benefits and no downside, is the water found within. It is fat-free, low in calories, high in potassium and filled with electrolytes. It is difficult to find perfection in nutrition. New studies come out every year refuting old claims. What it comes down to is finding balance and moderation. So don’t throw out your coconut oil and milk – just be mindful until more concrete evidence comes in about this new “saturated-fat revolution”.